Before you can start placing Shop the Post widgets on your website, you'll need to create one! 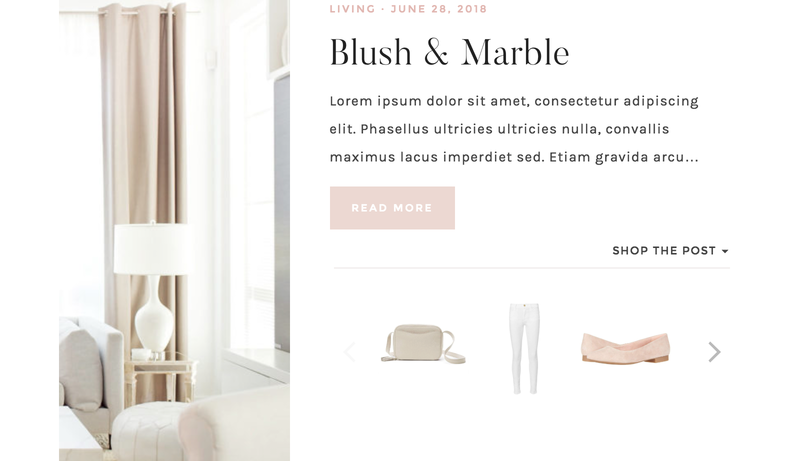 These widgets are typically set up through either RewardStyle or ShopStyle Collective. Click here for ShopStyle Collective setup instructions. Now that you've set up your Shop the Post widget, it's time to place the widget in a blog post. The Charlotte theme utilizes two custom fields to display your Shop the Post widget – one for the title and one for the actual widget. 1. In the post editor, click on the three dots at the top right corner of the screen. 2. A menu will pop up. Select Options at the very bottom. 3. Under Advanced Panels, check the Custom Fields box. Proceed to the next section of this tutorial. 1. In the post editor, click the Screen Options tab at the top right corner of the screen. 2. Find the Custom Fields box and check the box. Proceed to the next section of this tutorial. Don't see the Custom Fields checkbox? Make sure that you don't have Advanced Custom Fields active on your site, as it will override the default Custom Fields option. 2. Click the blue Enter New link. In the Name box, type shop_title. In the Value box, type the title you want to display above your Shop the Post widget. Keep in mind you can use different titles for each post – you aren't set on only one! Click Add Custom Field. (Don't want to display a title? Skip step 3). 3. Click the blue Enter New link again. In the Name box, type shop_post. In the Value box, paste your widget code from ShopStyle Collective or RewardStyle. Click Add Custom Field. You only have to create the shop_title and shop_post fields once. Now that you've created them, they will be available for you to pick from in future posts in the "— Select —" dropdown. 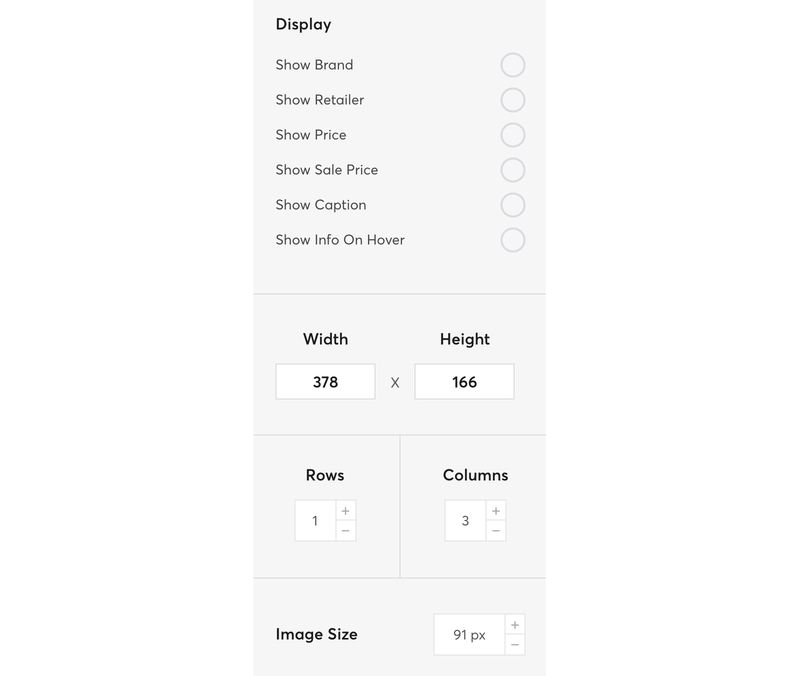 Please note that it doesn't matter what order these fields display in – they will display in the correct order on your website. 8. Now you can publish your post. Your widget will display below the Read the Post button on blog pages, and in the footer on single post pages. 1. Create a 5 or 6 column shop widget. 2. Go to WordPress > Appearance > Widgets. 3. Drag a Custom HTML widget into Front Page 4. 4. Paste your shop widget code in the box and then save. 5. Click here for instructions on adding the "Shop My Favorites" title and "What I'm Lovely Lately" subtitle.